Save.ca has a new featured coupon! 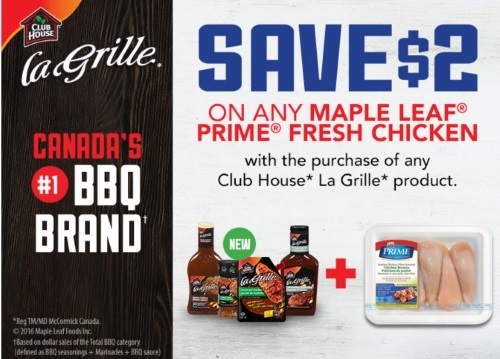 Save $2 off when any Maple Leaf Prime Fresh Chicken when you purchase any Club House La Grille product. This coupon is available by print, while quantities last.